Stephanie Abbuhl, MD, is Professor and Vice Chair of Faculty Affairs in the department of Emergency Medicine at the University of Pennsylvania’s Perelman School of Medicine. She is board certified in both emergency medicine and internal medicine and completed the ELAM (Executive Leadership in Academic Medicine) fellowship in 2004-2005. Dr. Abbuhl played a key role in the evolution of Emergency Medicine into a full academic department at Penn and, over the years, has served in several leadership positions including Interim Chair, Medical Director for 14 years, Fellowship Director, and Vice Chair since 2004. 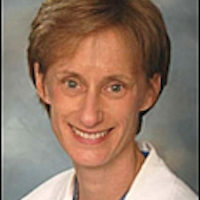 She has continued to actively practice and teach emergency medicine at Penn Med for over 30 years. Dr. Abbuhl’s primary research interests include establishing evidence-based best practices for faculty development (men and women) and investigating gender issues surrounding career advancement in medicine and science. She has also done research in Emergency Medicine, primarily on operational issues. She has over 100 publications to her credit and serves as a peer reviewer for emergency medicine and internal medicine journals. Dr. Abbuhl’s honors include: AOA (1980); the Bryce Collier Prize for Compassion in Medicine (1980); the American Medical Women’s Association Award (1980); Excellence in Teaching Award (1992); Philadelphia Magazine’s "Top Doc" award (1994, 1996); the Lenore Rowe Williams Award from the University of Pennsylvania (2003); and the Emergency Medicine Residency Mentorship Award (2003, 2010, 2012). In addition, Dr. Abbuhl received the 2012 AAMC Group on Women in Medicine and Science Leadership Development Award, a national honor in recognition of her research and programmatic work on faculty development and promoting women’s biomedical careers. She also won the 2013 Trustees’ Council of Penn Women-Provost Award at Penn for her leadership in advancing women faculty at the University of Pennsylvania. Most recently, in 2015, Dr. Abbuhl was honored to receive the Arthur K. Asbury Outstanding Faculty Mentor Award, one of the annual Penn Medicine Awards of Excellence. Since 2001, Dr. Abbuhl has been the Executive Director of FOCUS on Health & Leadership for Women, a unique faculty development program funded by the Dean to recruit, retain and advance women faculty and to promote women’s health research. In 2004, the FOCUS program received the AAMC’s Women in Medicine Leadership Development Award. Dr. Abbuhl’s experience with numerous innovative FOCUS initiatives led to a joint-PI collaboration with Dr. Jeane Ann Grisso on a unique RO1-funded study, the NIH-TAC (Transforming Academic Culture) Trial, to examine causal factors and interventions that promote women’s careers in science and medicine. This 4-year trial, the first of its kind, implemented a 3-tiered intervention in a cluster-randomized design across an entire school of medicine, aimed at improving the academic productivity and job satisfaction of women faculty. Since 2013, along with a team of multidisciplinary Penn colleagues, Dr. Abbuhl has developed a Penn Pathways career-leadership program for men and women assistant professors in the STEM fields at the request of the Penn Vice-Provost for the Faculty.